Intermot 2012 is one heck of a motor show! It is that time of the year when motorcyclists across the globe stop riding for awhile and instead, log onto the web to find out what new two-wheeled goodies await them at the Intermot. This year's motorcycle fiesta begins today and will go on till the 7th of this month. If you're loony about motorcycles and scooters, and happen to be in Germany, head down to Cologne at the earliest. The buzz about this one has been around for some time now and the spyshots were flying around on the internet. The bike has finally been unveiled and true to the hearsay, this GS is now water-cooled. Cooling an engine by a liquid, as opposed to an air-cooled motor, requires various hardware including a pump, hoses and of course, a radiator. That could be one of the reasons for the weight increase of the new GS, which stands at nearly 20 pounds. Another increase, which we're happier about, is that the power output has gone up by 15 ponies, now totaling 125 bhp. Other tweaks include the relocation of the shaft drive to the left of the bike and an electronically controlled flap on the exhaust is claimed to improve performance and provide for a meatier soundtrack. 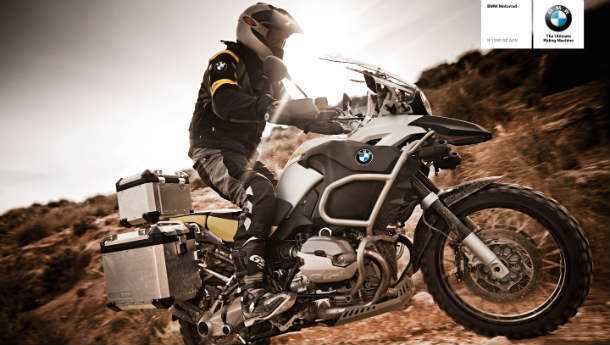 Electronic gadgetry includes 5 rider-selectable modes which alter the automatic stability control, ABS and ASC settings. 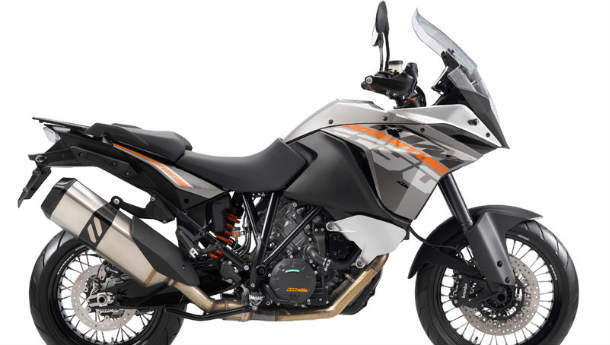 The chassis has been touched upon and the company claims that this GS is more rideable than ever before, with the seating design now providing an easier time for riders short on the inseam, despite the increase of the ground clearance by 8mm. It seems to be raining adventure bikes in Cologne, and this precipitation is from KTM. Ladies and gentlemen, please put your grubby hands together for the new 1190 Adventure that was unveiled today. The liquid-cooled, V-twin, 1195cc motor for this adventure-themed motorcycle, borrowed from the too-hot-for-your-own-good RC8R, has been tweaked to put out 148 horses, blowing the Bavarian contender clear out of the water in the bragging rights department. KTM claims that this monster gulps 20 percent lesser fuel than its predecessor, fed by a ride-by-wire throttle, no less. Radially mounted four-pot calipers bite on to Brembo rotors that have been supervised by ABS as standard. What also comes as standard is the electronic damping system that allows the rider to fiddle with suspension preload and damping system on the go. The spoked rims hold tubeless rubber - 120/70-19 at the fore and 170/60-17 at the aft - and oscillate from suspension that boasts of about 8 inches of travel. The aesthetics have been spruced up as well with a larger windscreen that is adjustable and an instrument console that tells you everything that you need to know. Pricing details haven't been announced as yet, but we reckon it's going to be a tad lesser than the new GS.